Do you have little girls in your house? If you do, you probably have all of the Strawberry Shortcake episodes and songs from the TV show on The Hub memorized! You may also have fond memories of that special strawberry scented red head from your own childhood. I know I do! My first bikini was Strawberry Shortcake! I could not get enough of that sweet smelling doll. I had the privilege last weekend to introduce my little girl to Strawberry Shortcake in person! We arrived early at the show for a cookies, strawberry shortcake and strawberry milk meet and greet! My daughter was excited and nervous to meet the girls but they were all SO kind and quickly put her at ease! After the meet and greet, Strawberry and her friends put on a live show for us in the intimate theatre setting of Club Nokia. We sat directly in front of the stage where my children and many others were able to sing and dance to the lively songs of Strawberry Shortcake and the Doodlebops. The Doodlebops, best known for songs such as "Get on the Bus" and "We Are the Doodlebops"from their hit TV show "The DoodleBops", opened the theatre with a 20 minute concert. My son was not as thrilled as my daughter to see Strawberry Shortcake but the Doodlebops are a definite favorite in our house! The Orange haired Moe is constantly making my kids laugh by being loud and "pulling the rope"! Dee Dee is an awesome keyboard player and Rooney always seems to get a little mixed up. The energy of the Doodlebops got all of the children in front of the stage on their feet and dancing to their popular songs! 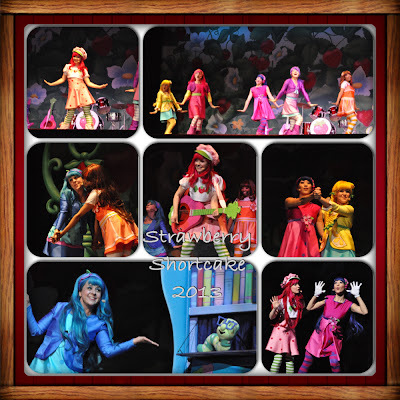 When the Doodlebops were done, the main event, Strawberry Shortcake, Blueberry Muffin, Huckleberry Pie, Raspberry Tart, Orange Blossom, Plum Puddin' and Lemon Meringue performed a tale from Berry Bitty City, "Follow Your Berry Own Beat". 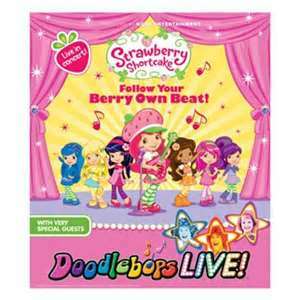 Based on the TV show, Strawberry Shortcake's, Berry Bitty Adventures, the girls go on a personal discovery to find each girls talent. Through trial and error and friendship, girls throughout the theatre got a boost of confidence as they watched the friends on stage help each other out. I loved the songs for both their upbeat tunes and great messages! 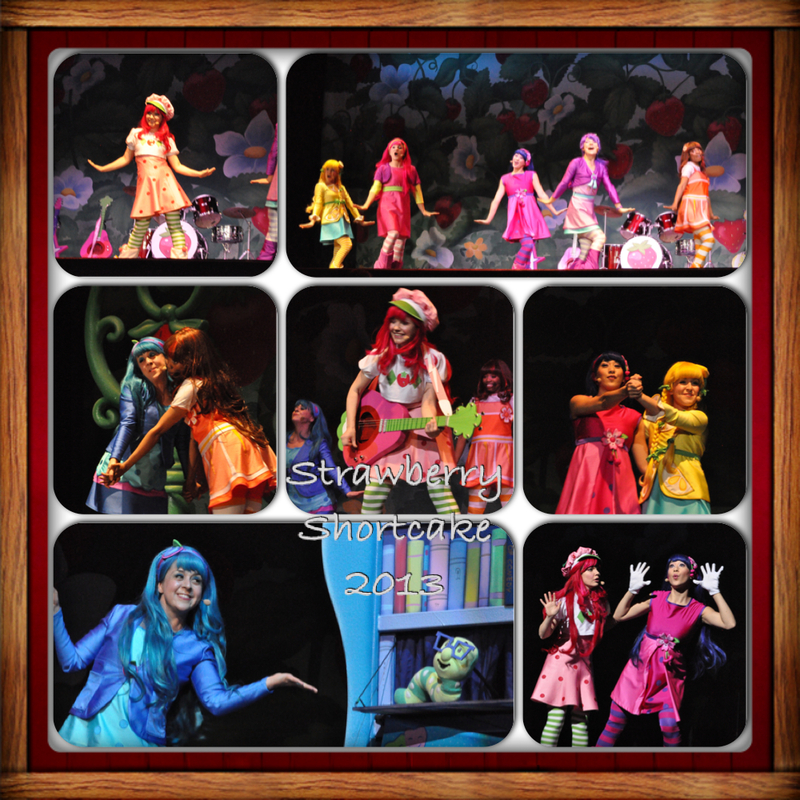 I would highly recommend the show for all Strawberry Shortcake fans young and old! When you hear the Doodlebops, you can't help but sing along and move your feet to the rhythm! Check out if the show will be in an area near you! SCUBA divers! Come to Catalina Island Feb 23rd! Valentines Day Special for Couples! OC Zoo!